Modern Emulsion is an exceptionally durable and versatile finish, available in all of our 132 colours. Modern Emulsion is mould resistant so perfectly suited to bathrooms and kitchens, along with busy areas such as hallways. A smart, matt choice for interior walls and ceilings. 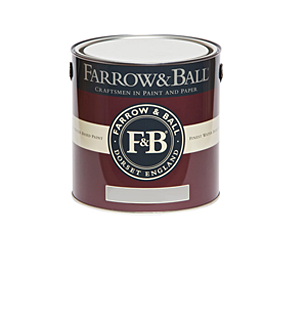 Estate Eggshell provides a robust finish for interior wood and metal, and comes in each of our 132 colours. With highly scuff resistant properties and a smooth silk finish, Estate Eggshell is an ideal way to update furniture pieces, kitchen cupboards, radiators, skirting boards, doors and dado rails. Modern Eggshell is our very hardwearing mid sheen finish that is available in all of our 132 colours. Used to update floors, stairs, skirting boards and even to freshen up kitchen units and cupboards, Modern Eggshell offers an even more durable (and slightly glossier) alternative to our Estate Eggshell.